A Perfect addition to your shop or home for cleaning, front wheel maintenance, and off-season storage. Featuring a tough rugged design this stand is a great addition. 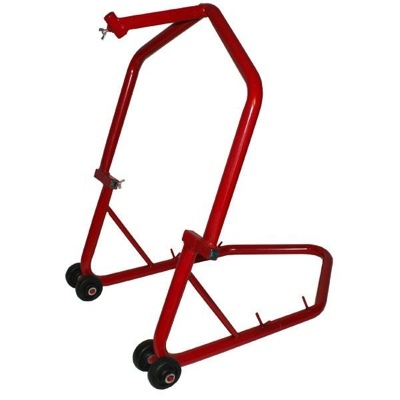 Sturdy Heavy Duty Construction allowing you to lift a motorcycle with one person . Extremely easy to use and ease lifting effort. The top portion of the motorcycle stand pivots on a 180? center point for positioning the stand into place and to fit most modern mortorcycle frames.